Jeanette’s love of watercolor comes from many years of visiting art festivals and always being drawn to watercolor paintings. But it was not until her retirement in 2003 that she began taking drawing and botanical illustration classes in Miami and she discovered that she had a talent for painting in detail. 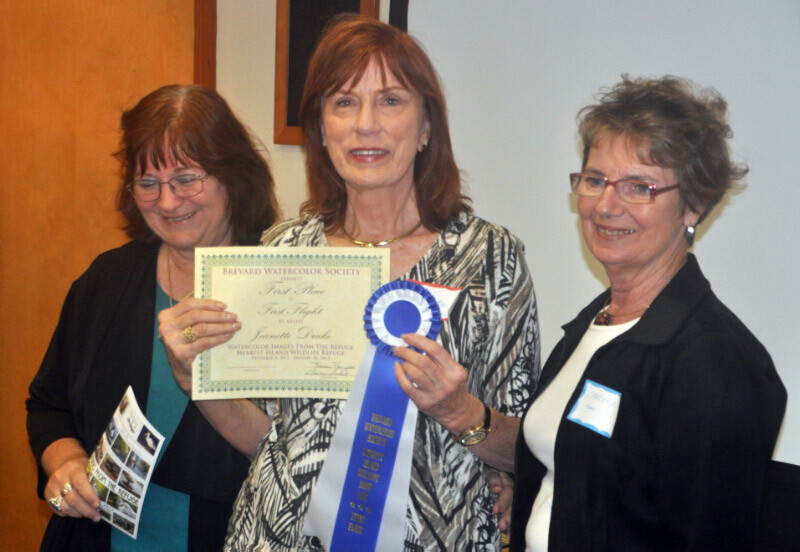 She continued those classes in Melbourne with Therese Ferguson, Jea Jea Trimble and Linda Neal. Jea Jea greatly influenced her love of painting the local wildlife and tropical flowers. Jeanette is an active member of the Florida Watercolor Society, the Strawbridge Art League Inc., the North Brevard Art League and the Brevard Watercolor Society. Jeanette also participates in the “art in public places” program courtesy of The Brevard Cultural Alliance. Jeanette is honored to have her paintings as part of the permanent collections of Viera Hospital, Patrick Air Force Base Medical Center, the Orlando Health Heart Institute and the Cape Canaveral City Hall..
- Best in Show - “Snowy Egret” - 2009 Watercolor Images From The Merritt Island Wildlife Refuge Show. 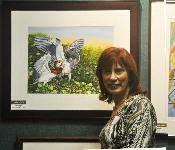 -Third Place in the 2010 art competition for the Space Coast Birding & Wildlife Festival. - First Place - “First Flight” at the 2011 Watercolor Images From The Merritt Island Wildlife Refuge Show. 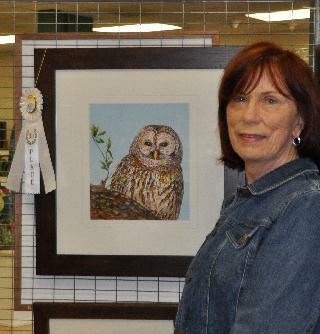 - First Place for “Phil” in the watercolor category at the 2012 Titusville Art League’s Annual Spring Show. December 2011: I am happy to announce that my painting "First Flight" took First Place at the Brevard Watercolor Society and The Merritt Island Wildlife Refuge's 9th annual "Images From The Refuge" fine art show. 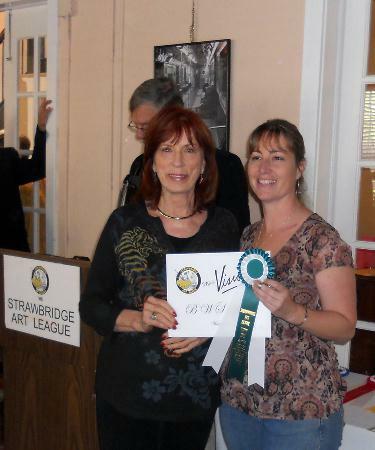 February 2011: I entered two paintings in the Strawbridge Art League's annual show Mini Vision and was awarded the Brevard Watercolor Society's Award. BWS contributes to the monetary award and selects the artist that they wish to honor with this wonderful award.